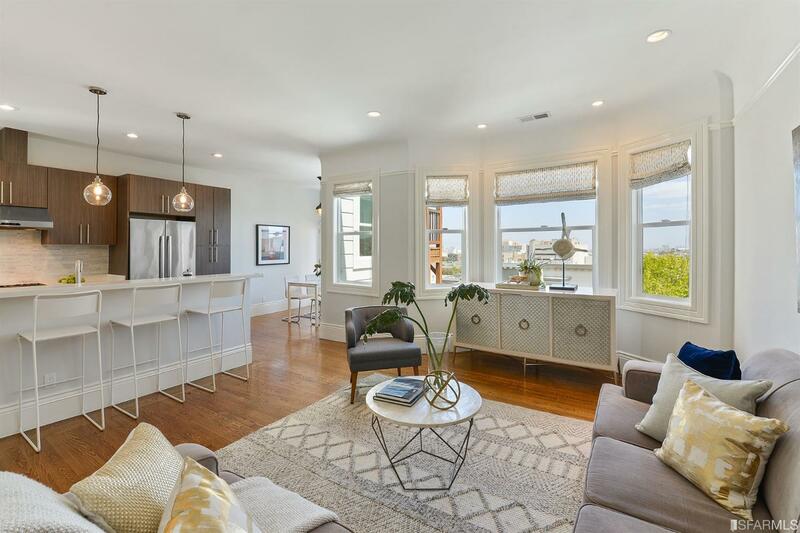 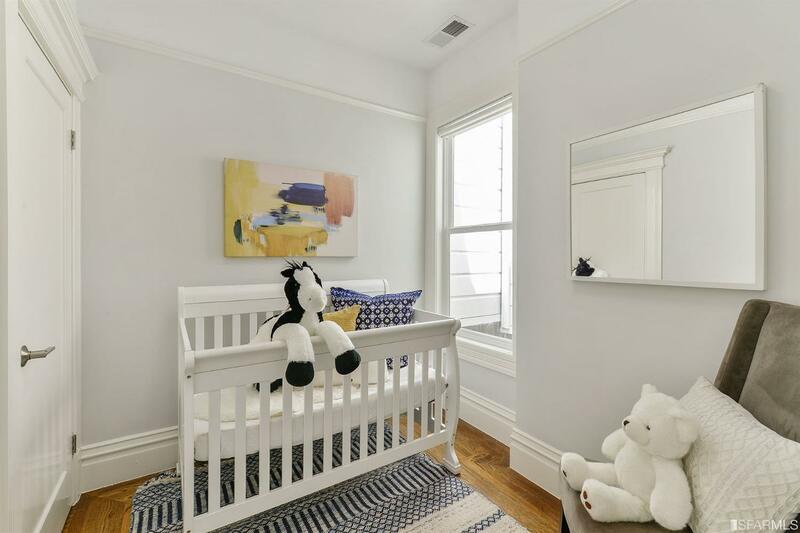 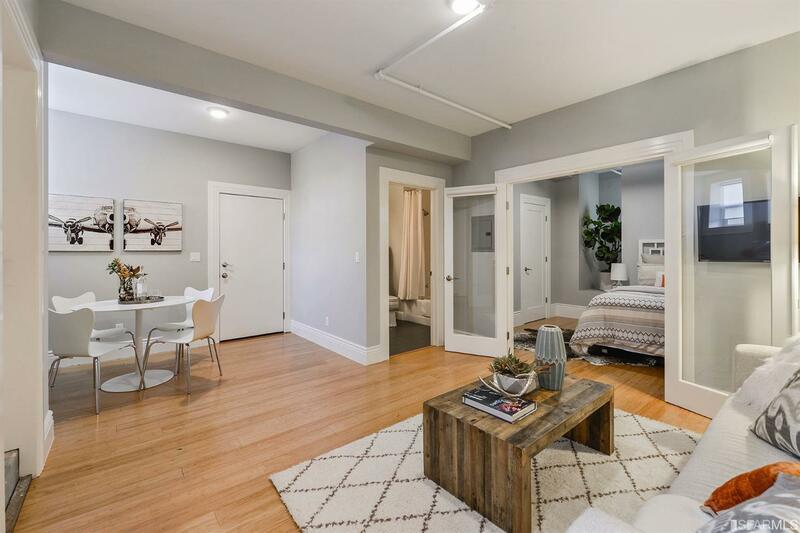 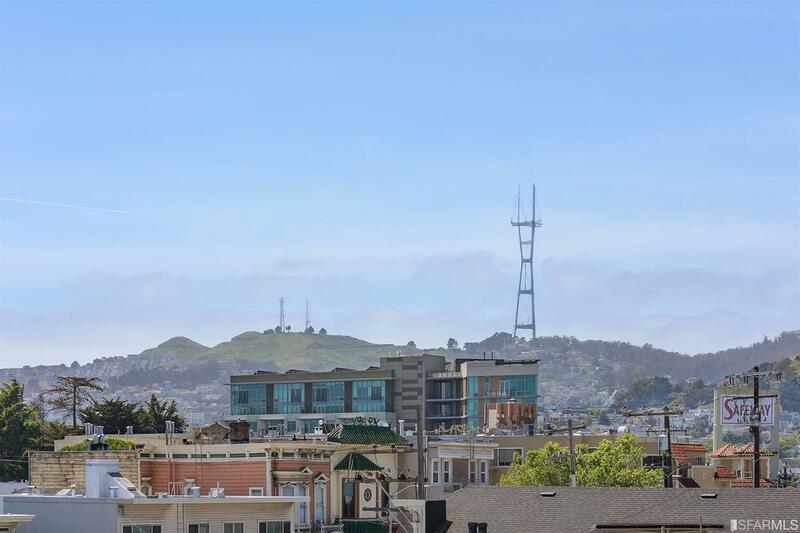 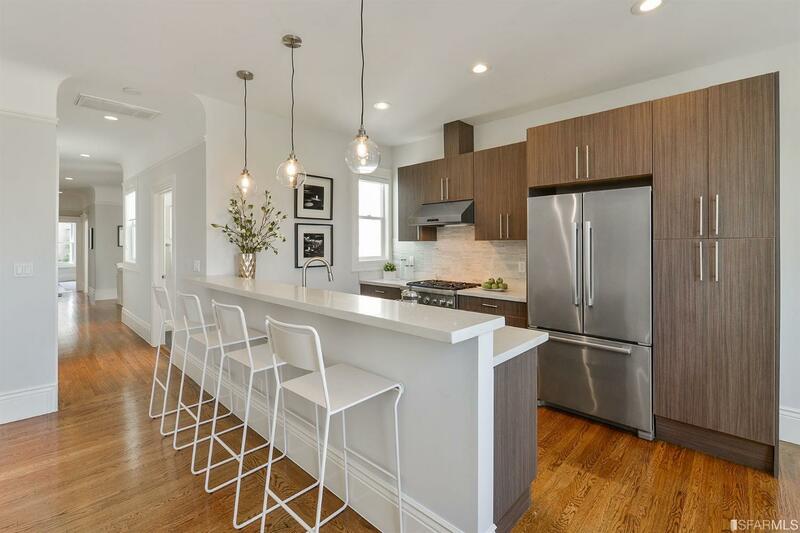 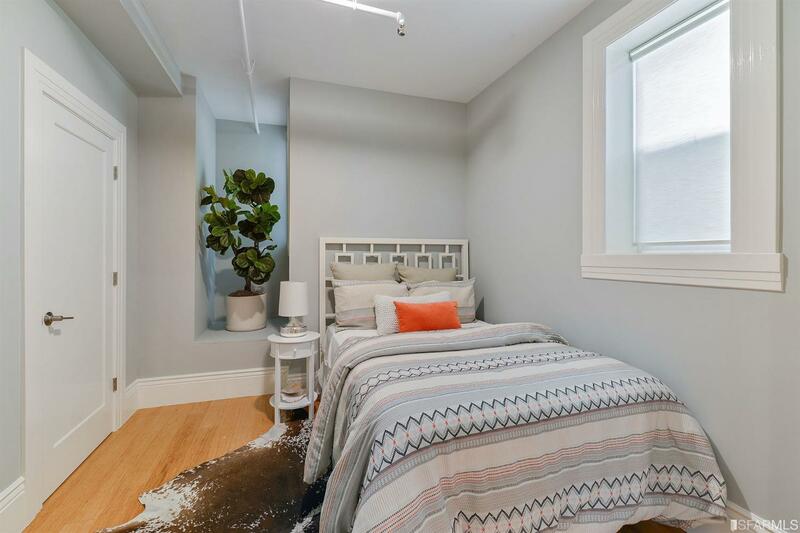 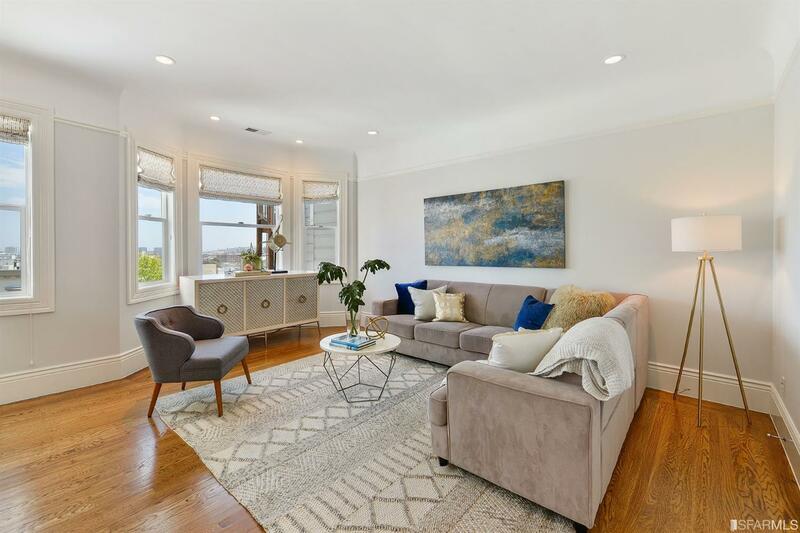 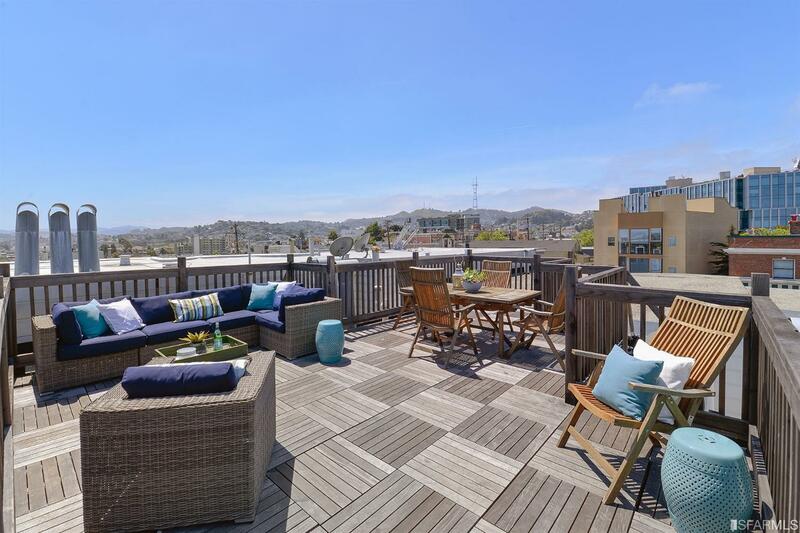 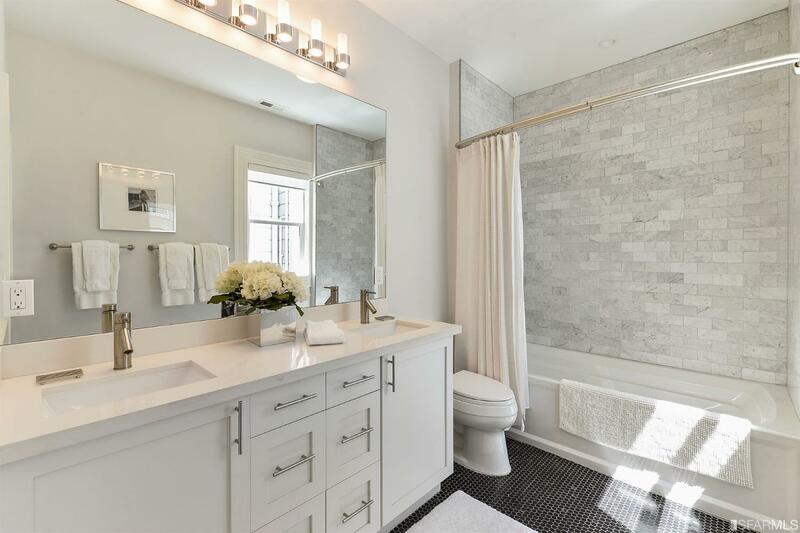 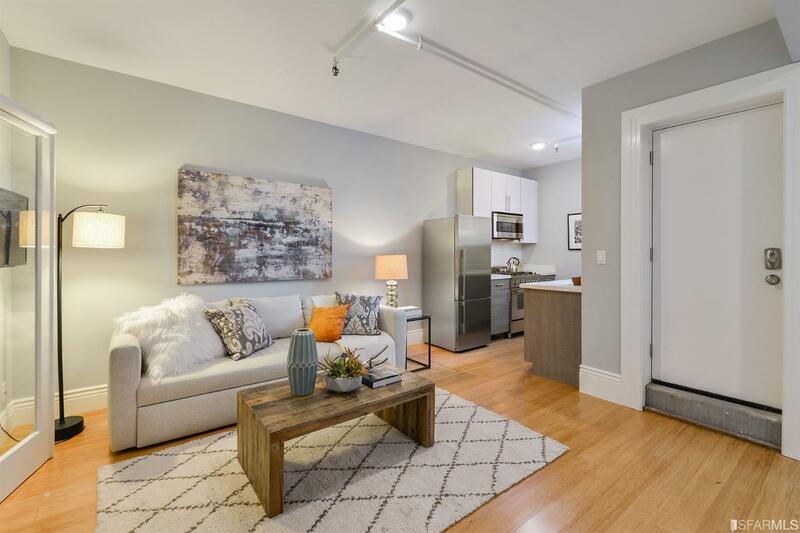 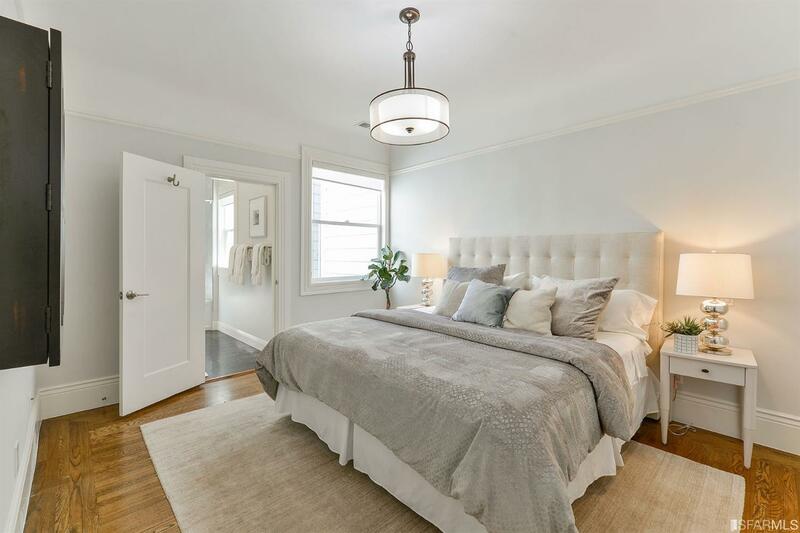 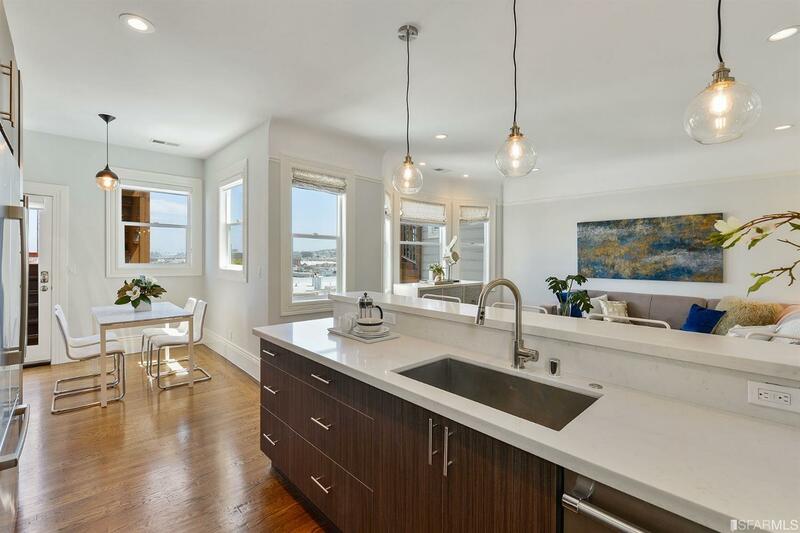 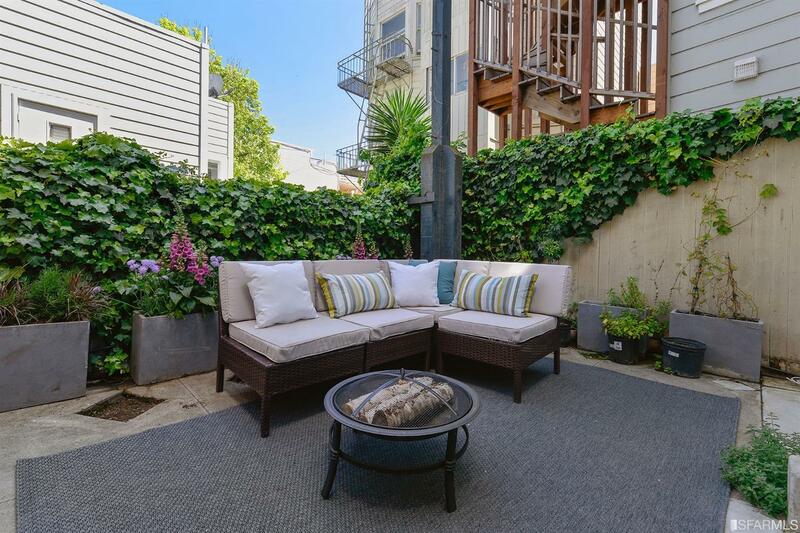 This renovated 3 unit VIEW bldg with additional 1bd/1ba guest suite on the ground level is a new standard for chic contemporary living at the intersection of Mission, Lwr Haight & Hayes Valley. 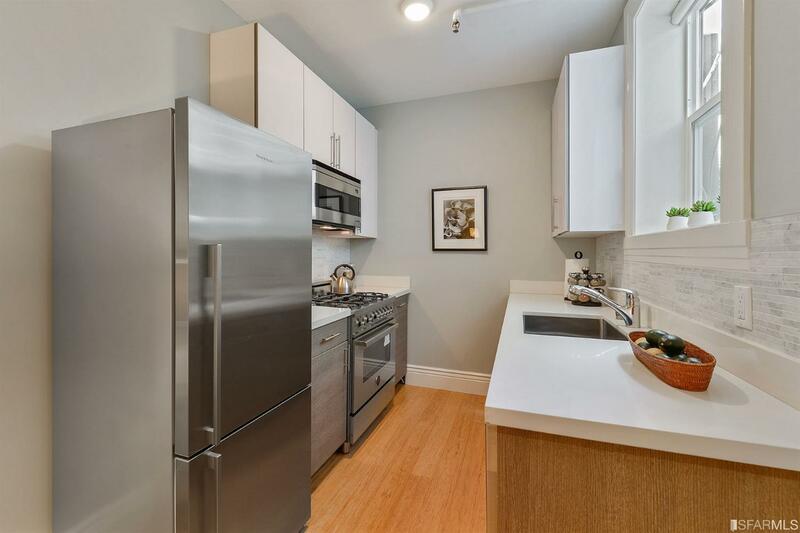 All units are FULLY furnished, including completely outfitted kitchens and more. 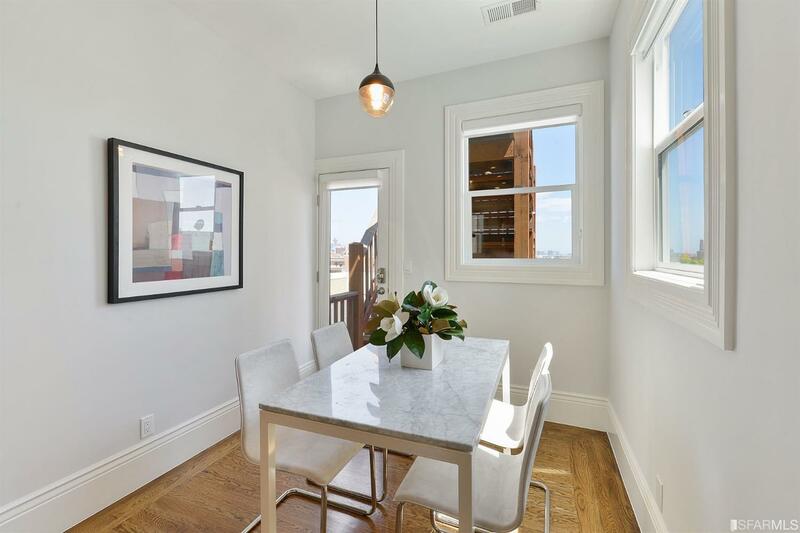 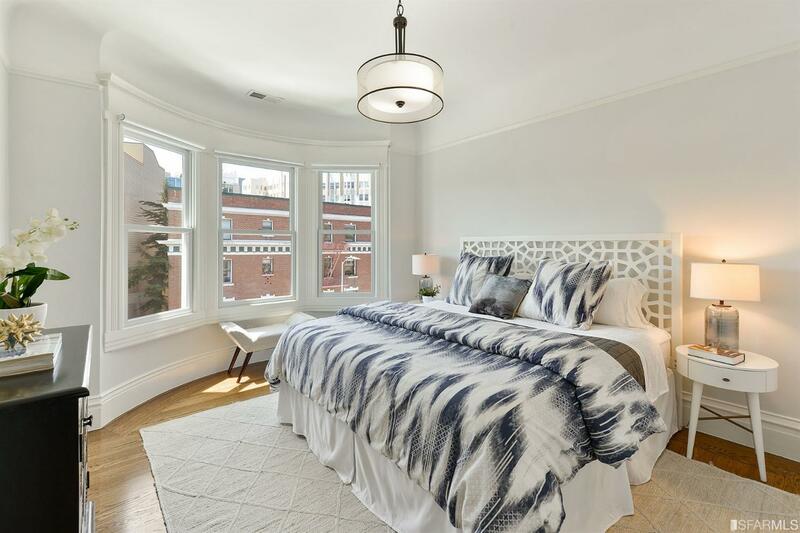 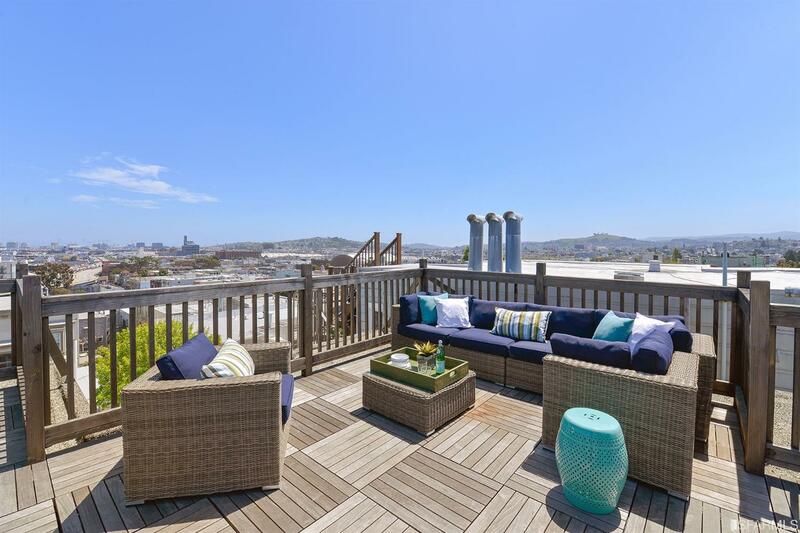 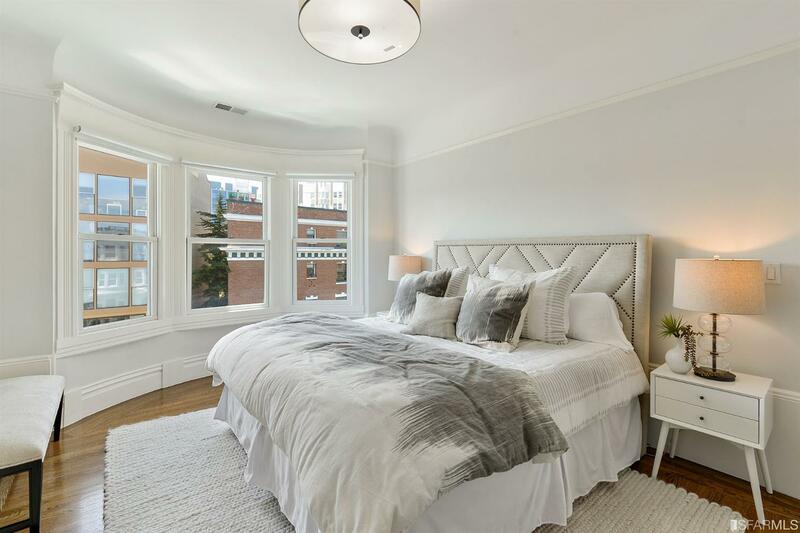 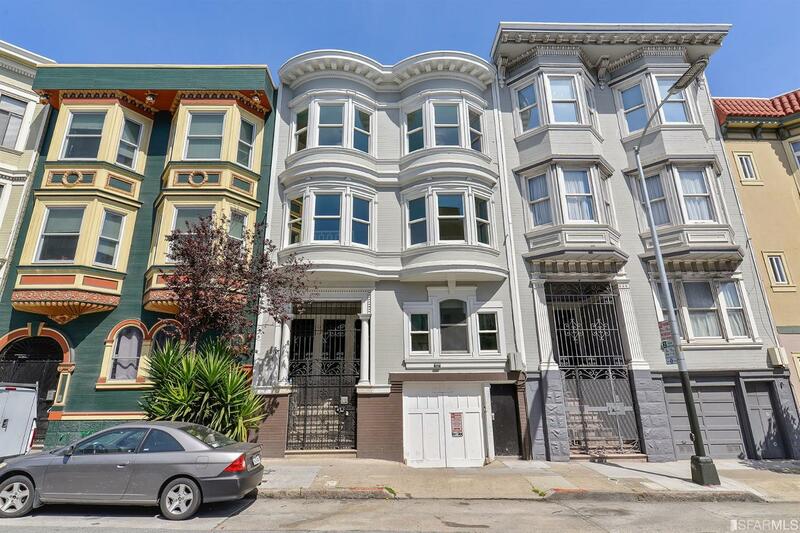 Tall ceilings, classic millwork and hw flrs and an abundance of windows frame quintessential San Francisco city views. 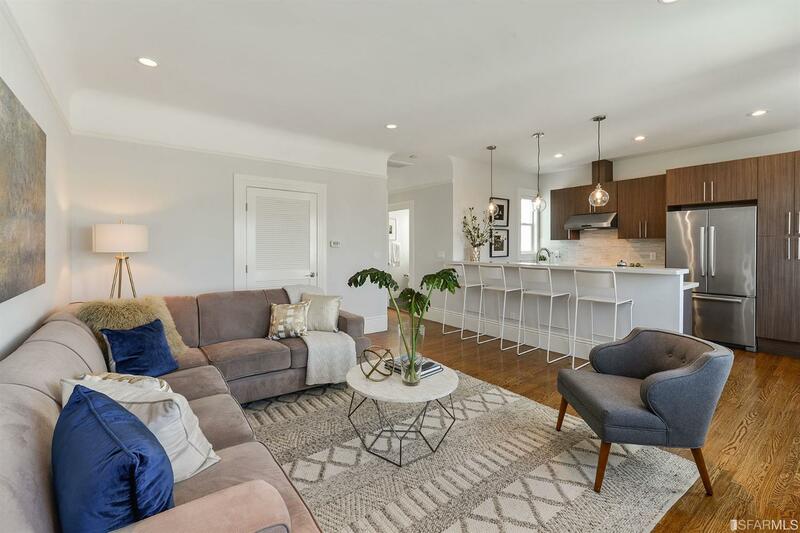 Open-floor plan, great for entertaining, connect living and dining area with gourmet kitch with b'fast bar. 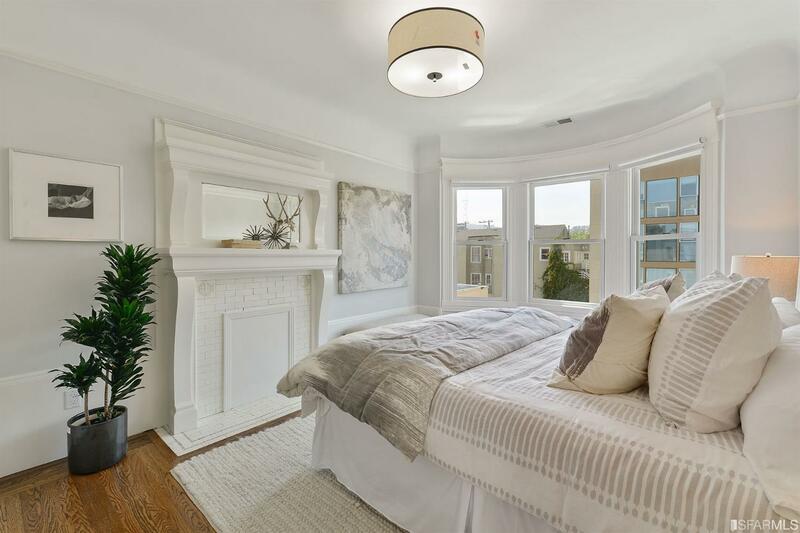 Bedrooms boast roomy closets, & bay windows & decorative FPs. 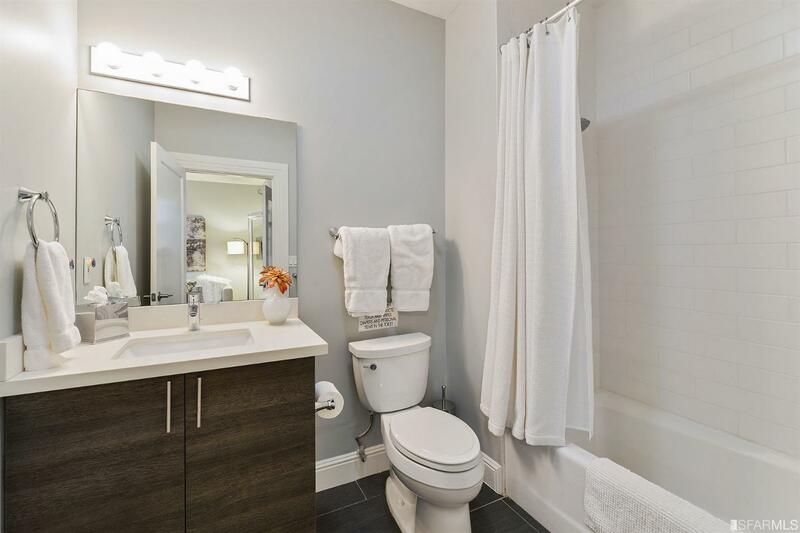 Master suite w/ luxe en suite bathroom with large double vanities. 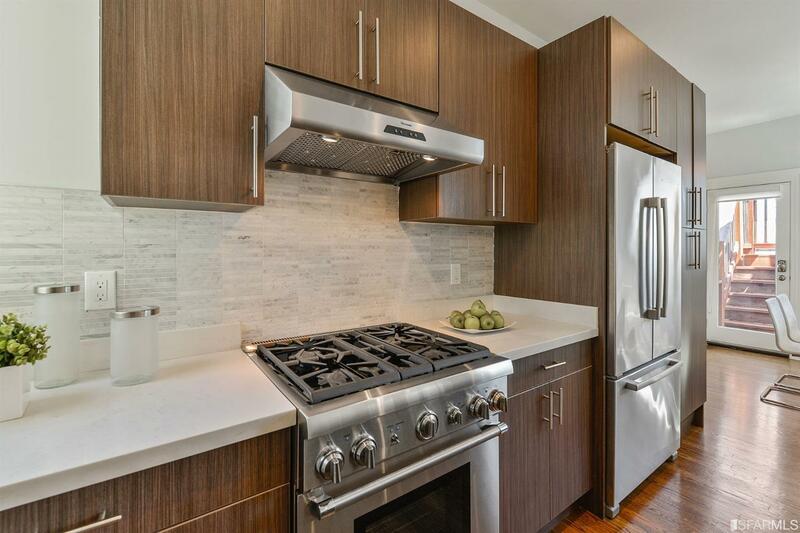 In-unit WD add convenience. 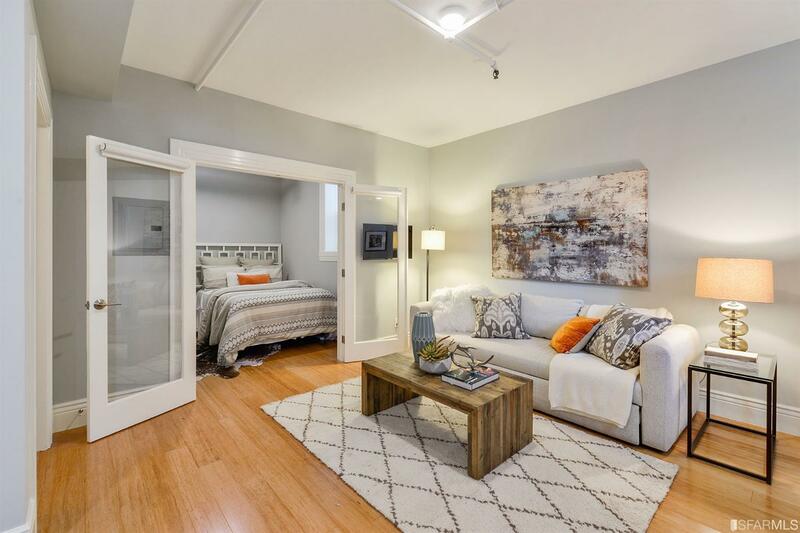 Stately 3 unit bldg that has undergone a careful and extensive renovation. 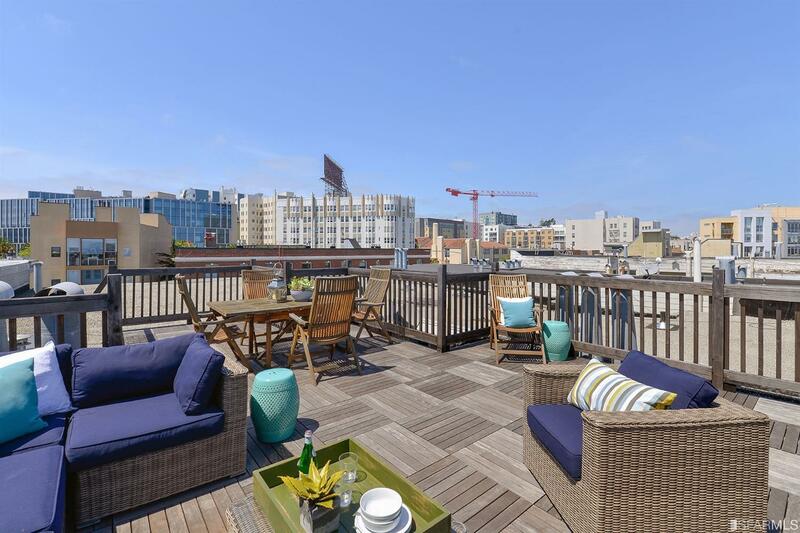 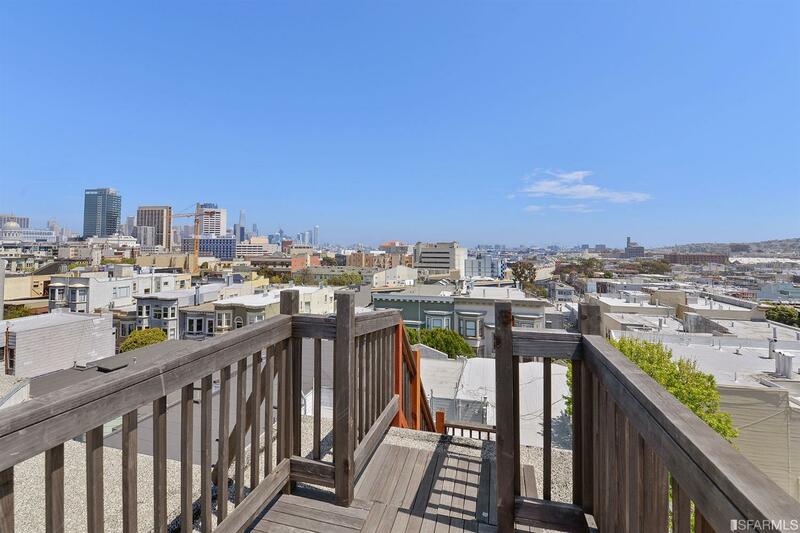 2 car garage & roof deck w/ fab views. 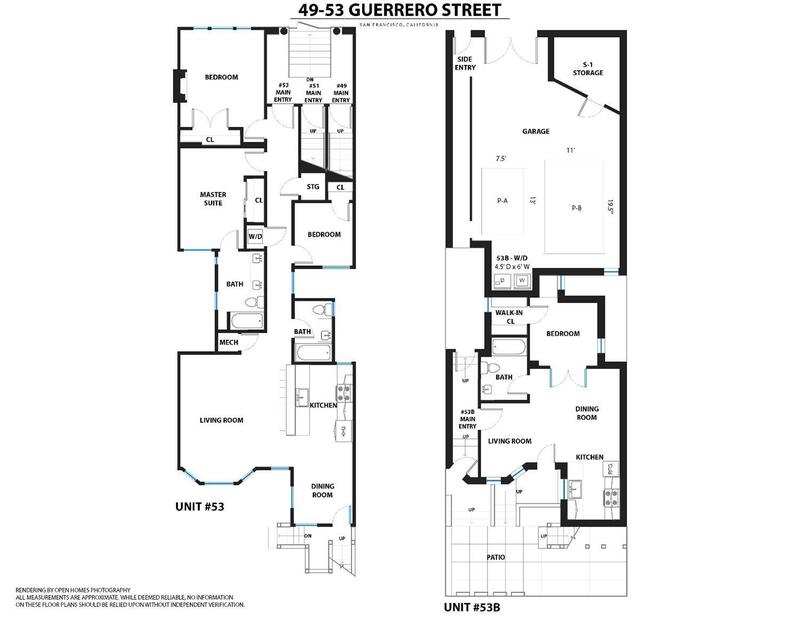 BIG rents for these swanky units. 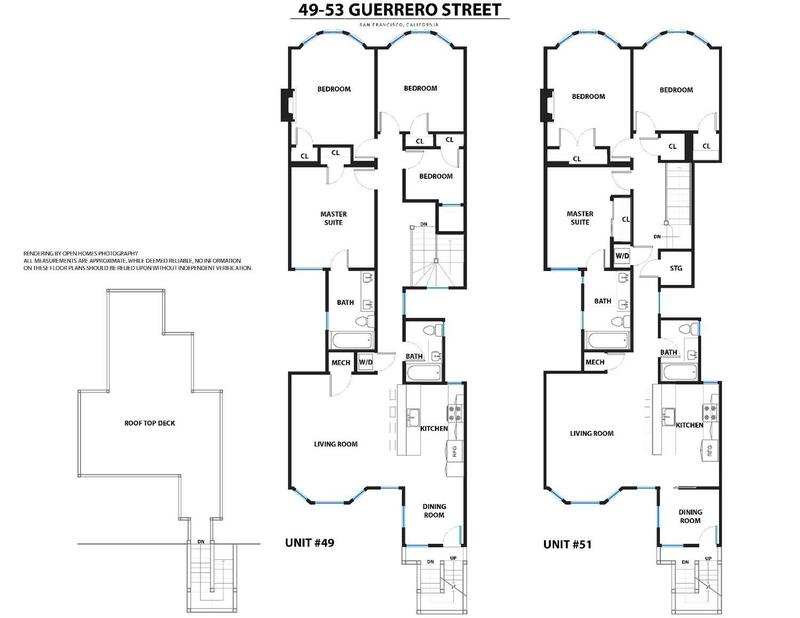 May be possible to add an ADU.